The Roman Catholic faith has inspired some of the world's greatest creative works and has been a powerful force in history from the Roman Empire to the present. Catholic writers reflect their heritage in their works, and generations of readers have continued to appreciate the Catholic literary tradition. Many works by Catholic writers hold a high place in the literary canon and have exerted a tremendous cultural and political influence. Still others continue to be widely read by contemporary readers and quietly shape modern society. Some works, too, reflect the conflicts of the Catholic Church in the 21st century and capture the struggles of individual Catholics in a secular society. 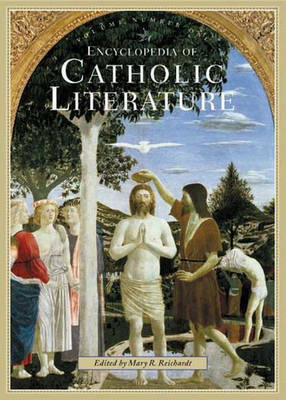 This encyclopedia covers the vast riches of the Catholic literary tradition from its origins to the present day. Included are substantial entries on more than 70 major works from around the world. A special effort has been made to cover women writers and writers of diverse racial and ethnic backgrounds, whose works reflect the many dimensions of the Catholic experience. The encyclopedia provides entries on such writers and works as St. Augustine's Confessions, Catherine of Siena's Dialogue, Dante's The Divine Comedy, Sandra Cisneros' The House on Mango Street, J.R.R. Tolkien's The Lord of the Rings, and Muriel Spark's Memento Mori. Each entry is written by an expert contributor and includes a biography of the writer, a plot summary of a major work, an extended critical discussion, an overview of the work's critical reception, and a selected bibliography. The entries give detailed attention to particular works and explore their relation to Catholic thought. The encyclopedia concludes with a selected, general bibliography.